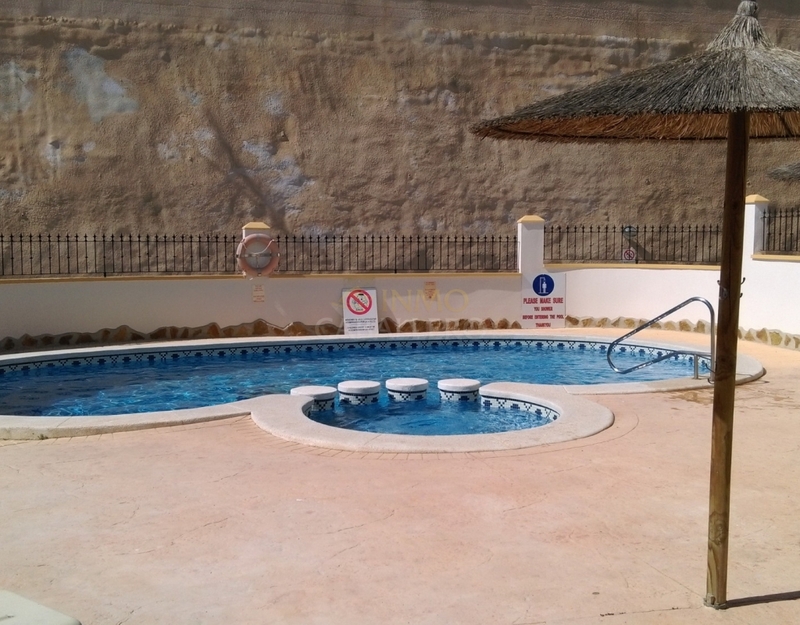 This house is located in Pinar de Campoverde in Costa Blanca 10 kms from the beach and 10 minutes by car. It is in a quiet area and close to shops and restaurants. 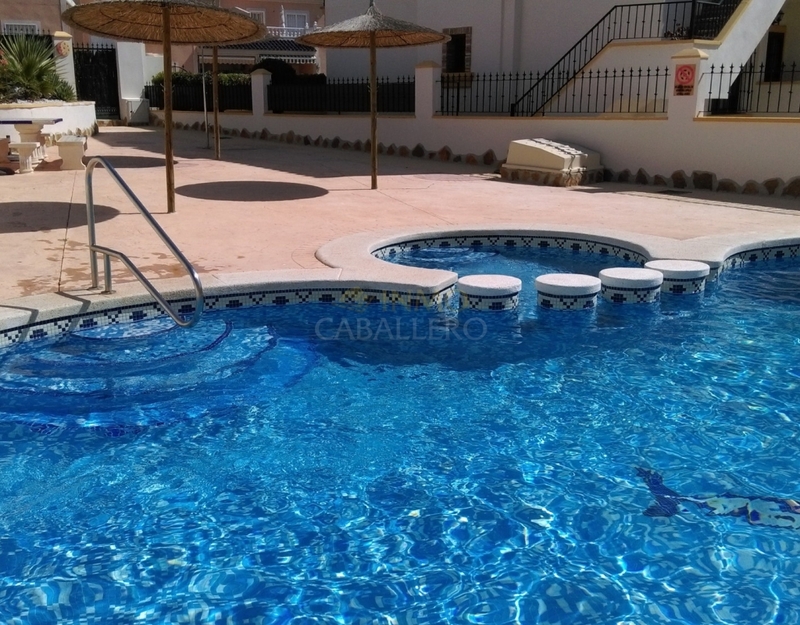 Terraced house of 80 m ² with garage and communal pool. The ground floor consists of: terrace, living / dining room with fireplace and air conditioning, full equipped kitchen and bathroom. On the first floor there are the two double bedrooms (both with fitted wardrobes and air-conditioning) and a bathroom. From this floor you have access to the solarium. The house is equipped with: double glazing, mosquito nets, security door, shutters, air conditioning and fireplace. The house is sold with furniture. 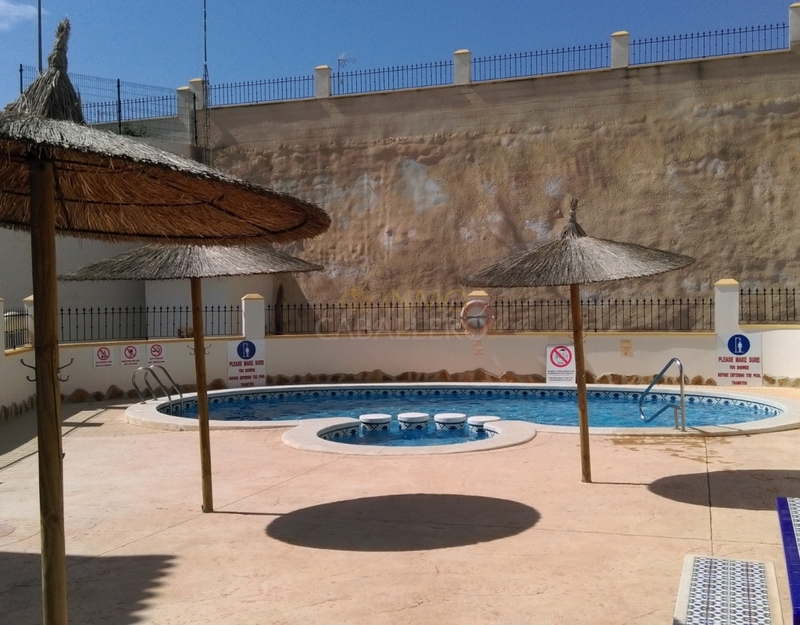 Commercial Center Dos Mares 15 minutes from Zenia Boulevard 20 minutes.